At Millennium Floor Covering, we want to make sure you get the most out of your experience with us, and that you feel confident with the flooring you’re having installed and taking care of it. Take a look at some useful tips for cleaning your new floors and more. Most wood flooring performs best at an RH range of 35% to 50%. Prolonged exposure to high or low relative humidity levels may result in damage that is not covered under warranty. Be sure to keep your invoice. It’s important to keep your invoice accessible and in a safe place as this is your warranty. Don’t use vinegar for cleaning floors. Contrary to popular belief, it is not a good idea to use vinegar in the water you will use to clean your floors, especially hardwood floors. The vinegar will actually dry and damage the varnish on your hardwood floors and will shorten its life. It almost acts like an acid on your floors. How to prevent seeing your footprints on your laminate floors. In most cases, people are using either soap or a detergent that is oil-based. The oil will leave a film on the laminate which explains why you can see your footprints on the floor. 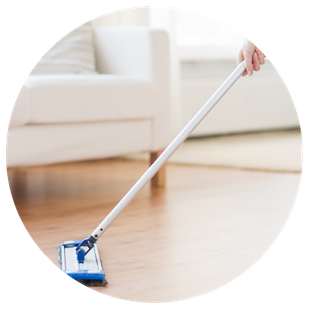 Just use a humid mop for your regular cleaning and once in a while give it a good cleaning with special cleaners designed for laminate and hardwood floors. Don’t be shy – bring in a sample! When you come in to our showroom to choose a floor for your kitchen or living room, we encourage you to bring in a drawer or door from your kitchen cabinets, or a sample of your counter top. 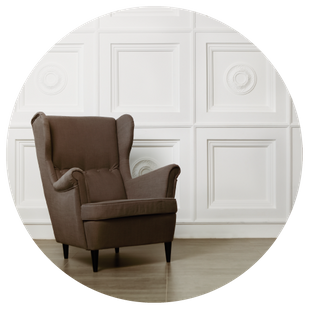 You can even bring a chair from your dining room set or a cushion from your sofa! a) Come in and visit our luxurious, 5,000 square foot showroom. b) Let one or our floor specialists/sales person help and guide you to choose the most perfect floor for your needs, and bring your concepts to life. c) Once the choice is made, we can order the product for you and call you once we receive it. d) Should you prefer that we do the installation of your chosen floor, we will make an appointment with you to visit your home and take measurements of the flooring to be installed. We will also discuss what you want us to do in addition to the installation. For example, you might want us to remove and dispose of the old flooring, move some or all of the existing furniture, or install new quarter rounds. e) Then we prepare a proposal with your specific choices and demands. f) You then approve or renegotiate the proposal. Once approved you give us a deposit, covering the materials to be ordered and sign the invoice. g) We order the materials required for the job and once they are received we call you to schedule the installation date that is most convenient for both of us. h) Once the installation is complete you pay us the balance of the invoice and enjoy your new flooring. Light colours will show more discolourations then dark colours. Although, most products are UV cured and resistant to fading, light colours will show more discolourations then dark colours. Any covered areas should be moved periodically in order to assist in slowing down the aging, and blocking the sun light from shinning directly on the floor will also help slow down aging. Never expose your floor to direct sunlight as this may adversely damage and/or bleach your floor. Always use proper window light filtering window coverings. 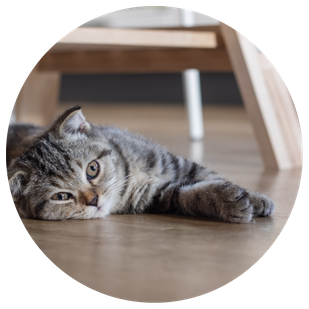 Pet nails will scratch and mark a wood floor surface. Keep your pet’s nails trimmed to minimize damage to the surface. Do not drag, push, or roll appliances, furniture or any heavy object across the floor. 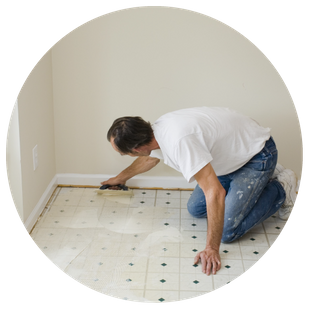 Due to the weight, you will have indentations, scratches or rips in your floors. Use heavy duty moving mats, dollies or other moving aids to protect the floor surface. It is best to use felt protector pads on the feet of all furniture, display stands, file cabinets and other accessories that will be placed directly onto the floor surface.